Sherman Theatre is pleased to announce that its Autumn season Main House production for 2019 will be Brian Friel’s version of Hedda Gabler by Henrik Ibsen. Hedda Gabler will run from 18 Oct – 2 Nov 2019. Fiercely intelligent, fascinating and terrifying, there is no other character in drama like Hedda Gabler. Newly married, and already bored by her aspiring academic husband, she foresees a life of tedious convention. Her only escape is to play dangerous games with the lives of the people around her. Brian Friel’s superb new version of Ibsen’s masterpiece originally premiered at The Gate Theatre, Dublin, in 2008. Hedda Gabler is the latest of Sherman’s Autumn season Main House productions, which have become a key part of the Cardiff’s theatrical landscape over the past few years. 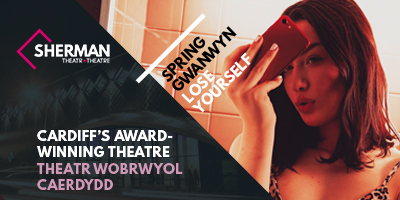 Previous successes include Gary Owen’s radical reimagining of The Cherry Orchard by Anton Chekhov in 2017 (winner of a UK Theatre Award for Denise Black’s performance), The Weir by Conor McPherson in 2016, and Ibsen’s A Doll’s House in 2015. Julia Barry, Sherman Theatre’s Executive Director, said: "In recent years our audiences have shown a clear appetite for presentations of classic texts given a fresh perspective through new adaptations, from Gary Owen’s The Cherry Orchard, to Simon Stephens’s A Doll’s House. We are therefore delighted to be producing the first Welsh production of Brian Friel’s version of Hedda Gabler this autumn." Hedda Gabler is at Sherman Theatre from 18 Oct – 2 Nov 2019 and will go on sale at 10am on 27 March. The cast and creative team will be announced later this spring.